SoarPay is the #1 merchant account for debt repair and consolidation businesses. The #1 Choice For Debt Consolidation Merchant Services. Many merchant services companies do not accept debt consolidation companies, for three primary reasons: (1) the first is that debt relief and consolidation are industries regulated by the US federal government. As a consequence, underwriters reviewing a credit card processing application by a business in this field must undergo a deeper level of business due diligence. (2) Because the nature of the product offered leads to a higher than average risk of chargebacks, either from so called “friendly fraud” or due to customer dissatisfaction. (3) The setup of debt consolidation businesses is primarily to accept non face-to-face credit card transactions, that is, either over the phone or via the internet. Both of these payment types are inherently more vulnerable to fraud and chargebacks. Combined, these three factors cause many merchant services providers to decline to offer merchant accounts to the debt consolidation industry as a whole. 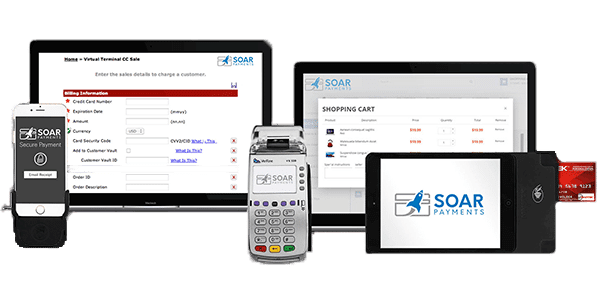 By contrast, Soar Payments has been proud to offer merchant services to the debt consolidation industry since its inception. Our extensive relationships with credit card processors who have the capability to underwrite regulated businesses, such as debt relief and consolidation, as well as our integrated chargeback and fraud protection tools, uniquely positions Soar Payments to provide reliable, low cost debt consolidation merchant accounts. 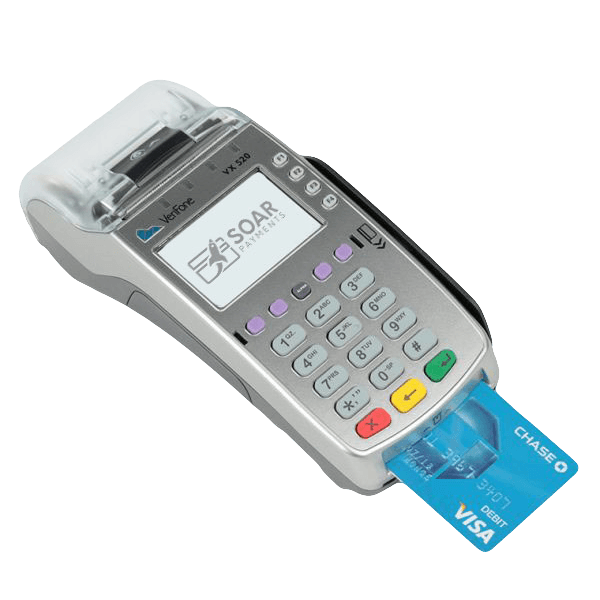 A retail merchant account enables your business to accept face-to-face payments via a point of sale system or traditional credit card machine. Ideally suited to debt consolidation businesses operating in a retail or office setting with reliable internet access, retail credit card processing accounts typically have the lowest risk of chargebacks and fraud and are therefore offered the lowest card processing rates. A mobile merchant account for debt consolidation allows you to accept payments via an attachment that plugs into a mobile phone or iPad. Ideal for businesses operating outside a traditional storefront setting, such as a student debt consolidation operating at conferences or on campus, these merchant accounts typically have low rates of fraud and chargebacks similar to retail, and are therefore priced as such. A virtual terminal merchant account enables debt consolidation businesses to accept payments over the phone, via mail, or typed into a computer without the need for outside equipment. Also called a payment gateway merchant account, this is ideal for businesses who accept payments over the phone. 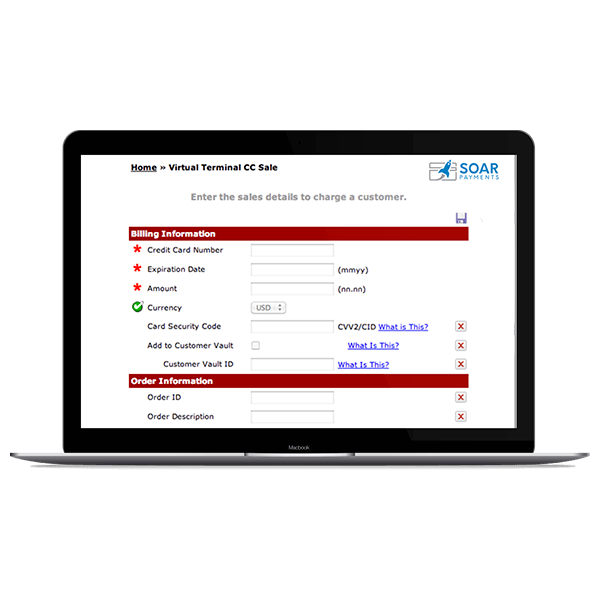 Due to their increased vulnerability to fraud and chargebacks, Soar Pay offers integrated chargeback and fraud protection technology for these accounts. An eCommerce merchant account enables debt consolidation companies to accept payments via your website’s checkout page. Our eCommerce merchant account integrate with most major payment gateways and website shopping carts, making setup simple. 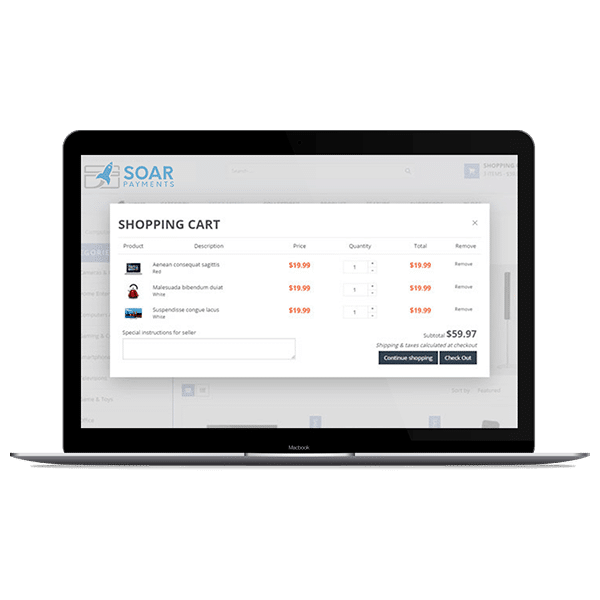 Due to the increased vulnerability of fraud and chargebacks, Soar Pay offers integrated fraud and chargeback protection technology for these accounts. ​​What types of debt consolidation industry businesses do you accept? 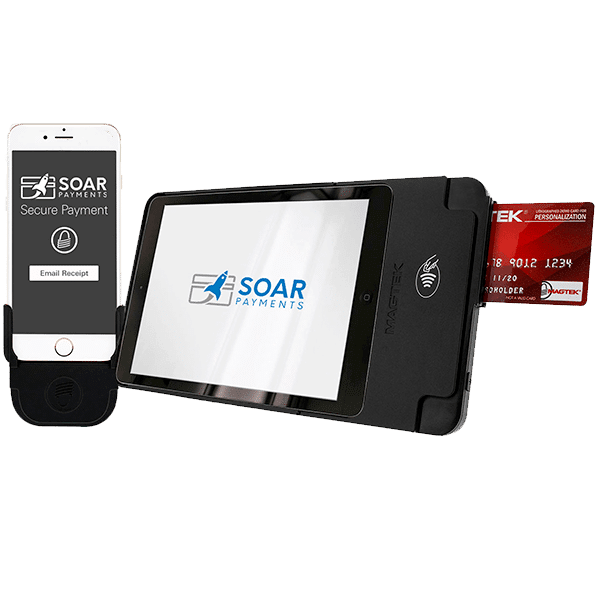 Soar Payments accepts a wide range of retail, eCommerce, virtual terminal and mobile payment based companies in the debt consolidation industry. These include: debt consolidation, debt refinancing, debt counseling, debt settlement, loan brokers, and debt relief companies, among others. Is there a transaction ceiling for debt consolidation merchant accounts? We understand that debt consolidation services frequently cost hundreds if not thousands of dollars. And that often, the difference between making a sale and not is a debt consolidation companies ability to accept credit card payments. Therefore, we do not impose an industry-wide transaction ceiling. Rather, when you complete your application you’ll be asked to tell us what your “high ticket” is, and your business’ application will be underwritten with your specific transaction ceiling in mind. 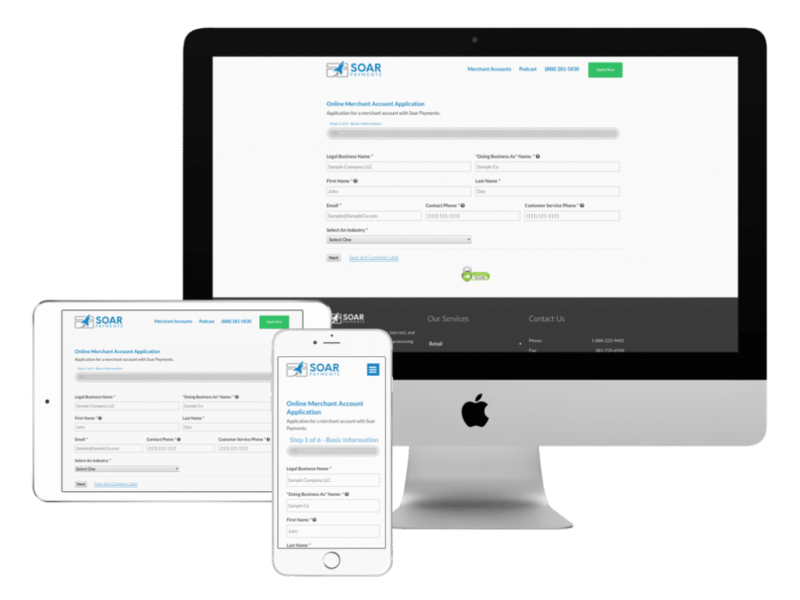 Soar Payments offers all clients a full-array of chargeback and fraud mitigation technology. Due to the unique risk and chargeback exposure of the debt consolidation industry, however, we offer unique industry specific solutions. Debt consolidation businesses, particularly those accepting eCommerce and over the phone payments, need a streamlined system for conclusively identifying the individual making the purchase and ensuring that this individual is authorized to use the credit card, as this dramatically lowers fraud and chargeback risks. To assist in this regard, we offer a specialized payment gateway which uses multiple data points, IP matching and “wet signature” technology, to match the purchaser’s identity. For those chargebacks that might still occur, we offer integrated chargeback alerts and chargeback fighting software, which enables businesses to promptly and effectively respond to chargebacks via expert outsourced third parties.